Three cars, a Mercedes-Benz, an Audi, and a Honda, were video on camera driving against traffic at Prinsep Street -- all in the space of 25 seconds. The video was posted by Facebook user Mk Tëź on SG Road Vigilante's Facebook page. According to the timestamp on the footage, this happened on Oct 9 at about 6.53pm. Well done to these 3 cheapskates (one Merc, one Audi, one Honda) trying to dodge the ERP at Sim Lim Square. This all happened in less than 5 mins. 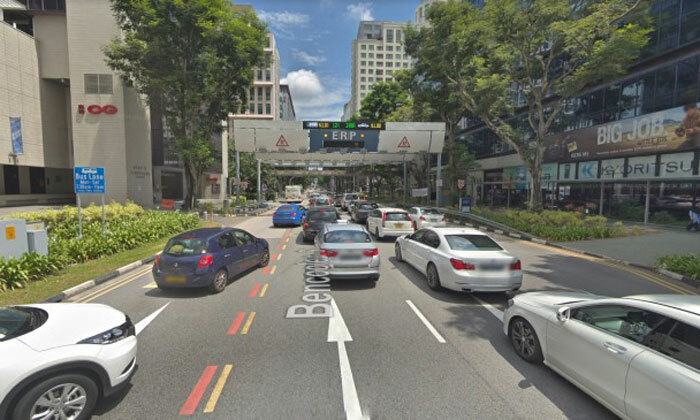 He believes that the three drivers turned left at Prinsep Street and went against traffic in order to avoid the Electronic Road Pricing (ERP) gantry located along Bencoolen Street towards Middle Road. He wrote: "Well done to these 3 cheapskates (one Merc, one Audi, one Honda) trying to dodge the ERP at Sim Lim Square. This all happened in less than 5 minutes." Netizens slammed the drivers for being 'cheapos' and called for them to be reported to the Traffic Police. Man refuses to pay full fare after cabby takes wrong turn, then says: "Limpeh is from 369!"